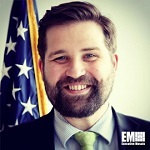 Justin “Doc” Herman, head of the emerging citizen technology office at the General Services Administration’s technology transformation services, will step down from his role on Jan. 14 to join the private sector. Herman announced his move in a LinkedIn post published Monday. He has handled several governmentwide tech programs such as artificial intelligence, machine learning and robotic process automation initiatives in his nearly seven-year career at GSA. He offered pointers to his colleagues at GSA as they work to advance the use of new technology platforms to improve public services such as building partnerships and collaboration and leveraging data. Herman joined GSA in 2012 as interagency SocialGov lead and previously served as a congressional staff assistant and chief of public affairs in the U.S. Air Force.